The exhibition The Fragility of Tolerance played a key role in the Bulgarian EuroVision Lab., exploring and depicting the topic of the Bulgarian salvation of the Jews during the Holocaust from multiple perspectives and a comparative European perspective in particular. Apart from taking into consideration the topic’s transregional aspect, Bulgaria’s National History Museum also incorporated an experimental approach: With regard to making the topic more accessible, the object presentation was strongly influenced by scenographical elements. Moreover, at many stages during the exhibition, visitors were encouraged to actively participate and to express their own opinion on the topic. In the spirit of participation, the museum had also worked with the 134th High School Dimcho Debelyanov, a Jewish School, in Sofia before the opening of the exhibition in order to learn about their understanding of the topic. Finally, the exhibition project paid particular attention to a focus group ‘people with special needs’, that had been selected prior to the opening. With the help of this visitor group, the museum expanded its program to improve accessibility. In order to offer a re-interpretation of objects from a European perspective outside of the exhibition itself, the Bulgarian National History Museum also showed selected objects in other areas of the museum, once again adding a specifically European angle. As part of the project Follow the Road, for example, visitors had the chance to explore the objects with the help of an interactive game. Consequently, the project first and foremost aimed to address young adults, but also the above mentioned focus group of people with special needs. These two initiatives were accompanied by the presentation of the Eurobarometer and the results of the Young Scenographers Contest, which had been dedicated to the tagline One Object – Many Visions – EuroVisions. Both elements of the EuroVision Lab. exhibition were wellsuited to encourage a discussion on changes to a transregional perspective with visitors of the museum. The Bulgarian EuroVision Lab. was rounded out by an extensive accompanying program that included a number of workshops and cultural events: Among them were the performance of the concertmaster of the Royal Concertgebouw Orchestra of the Netherlands and the performance of Vesko Eschkenazy, who performed the film score of Schindler’s List. The exhibition The Fragility of Tolerance was eventually turned in a touring exhibition, that also incorporates an experimental approach to engage visitors in active discussions on topics such as ‘ethnic tolerance’ and ‘lessions learned from WW2’. 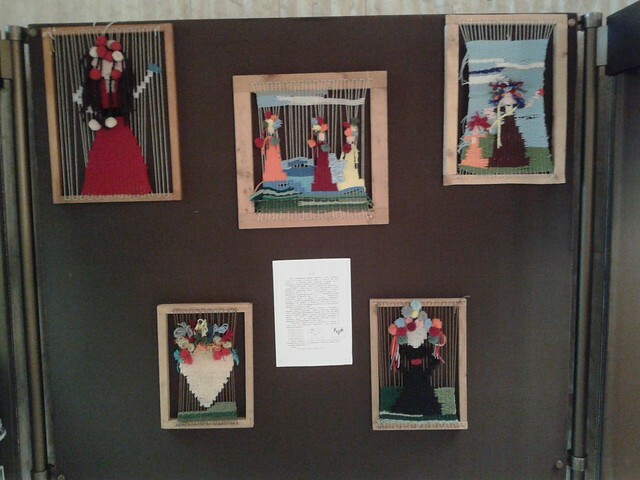 So far, the touring exhibition has been shown at five locations across different regions of Bulgaria. The exhibition is developed on the theme of tolerance and acceptance of others, through the story of the salvation of Jews in Europe during World War II. It is situated around one main object – the Star of David – one of the main symbols of the Jewish people of European and world importance. The exhibition is in the spirit of the EMEE leading ideas recreated by changing the perspective, scenography and 3D mapping solutions. The innovative, synesthetic approach helps visitors to co / relive history. The exhibition is adapted for visitors with special needs. Interactive game ‘Follow this road’: a fun way to ‘detect’ objects with a European dimension and inter-regional significance. The exhibition ‘The Fragility of Tolerance’ has a mobile version that can be adapted to satellite partner organizations. The main theme is further developed and enriched by the presentation of local cultural memory and history. Change perspective will contribute to activating the audience and shortening the distance between museums and non-visitors. A series of Accompanying initiatives for children and youth in the National Museum of History, on the subject of tolerance and attitude to the others. The workshop topics related to the exhibition ‘The Fragility of Tolerance’, the physical and intellectual accessibility of museum exhibitions. 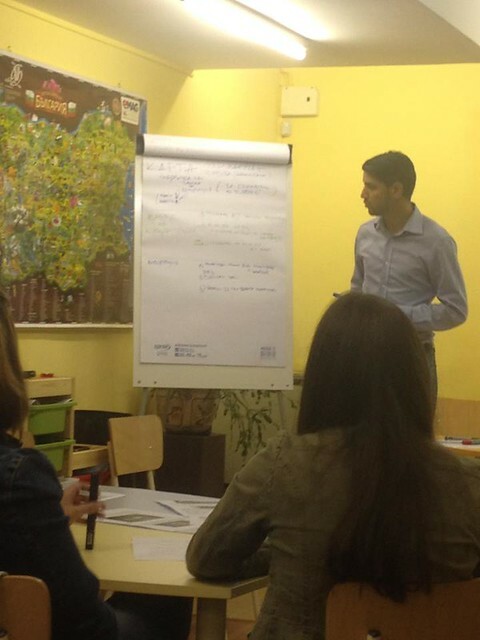 Participants are history teachers from schools in Sofia and museum experts. Warm-up for the EuroVision Lab. 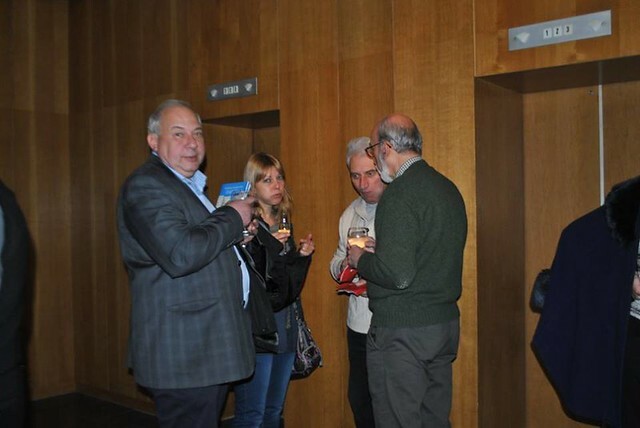 in Bulgaria: Museum Experts in Bulgaria applaud ‘EuroVision. Museums Exhibiting Europe’ at a sequence of three training workshops. ‘Tolerance – in the past and today’. Workshop at the National History Museum, Sofia/Bularia opens launched a series of initiatives and events implemented under the slogan ‘One object – many visions – EuroVision’. ‘The Fragility of Tolerance’. The Bulgarian National Museum of History opened its EuroVision Lab. exhibition with music from ‘Schindler´s List’, performed by Vesko Eschkenazy. ‘Synaestetic translation of the perspective’. EMEE Lab. 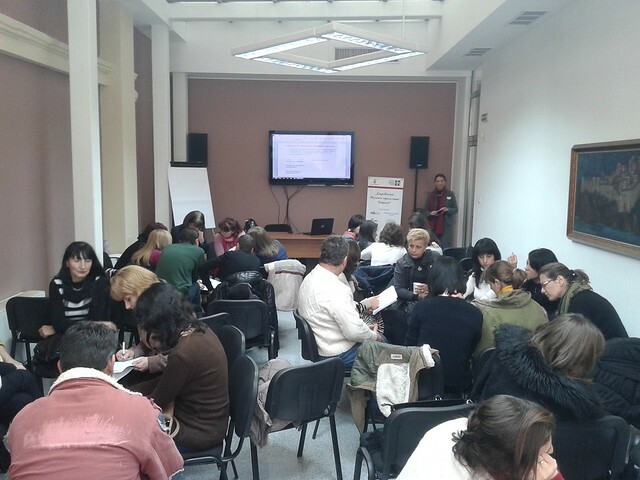 Workshop run sucessfully in the National Museum of History in Sofia on December 16th 2015.